CIAC creates avenues to ensure that the academia keeps updating itself with the changing industrial paradigms, and encourage the students to cultivate a more pragmatic outlook regarding the Industry and its expectations.The industry could also benefit from the knowledge of the on-going R&D projects, and could then actively participate in those that might interest them. This will be achieved by forging a strong linkage between academia and industry. Academia continues to be the cradle for conceptualizing and building the future, whereas it is the industry that almost always take these ideas to fruition. In order to bridge the gap between the industry and the University, the centre assists the different departments to organize events meant for industry connect. Arranging Industrial Visits for Students. 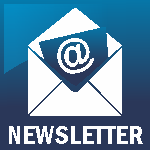 Enabling the students to secure Internship/ projects/ case studiesin relation to industries. Conduction of industry-institute synergy for overall development of the University. Creating a close linkage with industries and helping in career development of students. Conducting continuing education and Competency Building Programmes for the students by the experts from industries to increase their employability skills. Conducting Management development Programmes (MDP) with participation open to all practicing/experienced managers and/or executives. This interaction is necessary to establish a platform for enhancing relationship between the institute and industries, thereby increasing the opportunities for the students for internships, live projects and to acquaint the students beforehand with the demands of the corporate atmosphere. This also helps the academia to make progress in research, innovation and curriculum development and design. The industry on other hand needs to know from academic research about what is going to appear on the horizon and how it must gear up in terms of talent for this emerging trends. "Introduction to Stainless Steel" in association with Jindal Stainless Steel Training Centre, Hisar from 21st August, 2018. CREDA, NISE, Fronius India Pvt Ltd, Pune, Skeiron Renewable and OPJU team up to offer a course on ‘Solar Energy Technology’ at the University campus from September 6, 2018. OPJU has been given the opportunity to be a consultant for a Waste Heat Recovery Boiler (WHRB), by Jindal Steel & Power Ltd (JSPL). OPJU has been tasked to improve the draft of the flue gases in coke oven batteries system of WHRB, JSPL. 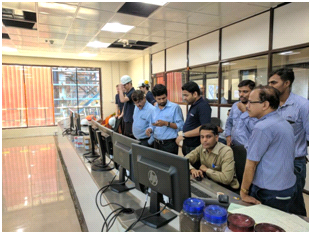 Dr Siddharth Chakrabarty, Dr Mahesh Bhiwapurkar, Dr Akash Pandey, along with two M-Tech students of Mechanical branch are in charge of the project. It will be an opportunity for the Mechanical students to apply their learning and knowledge and to work with the panel of experienced faculties. The Centre for Industry-Academia Collaboration along with career service office (CSO) has taken an initiative to place the student for internships in different other industries along with Jindal Group companies. The recent list of other industries includes Siemens India, Bangalore (5 selects), Metalman Auto Private Limited (6), HAL, Orissa (10), Tata Aerospace Limited, Nagpur (2), Eicher Motor (4), L & T (10), Jindal Stainless Steel way (2), Fronius India Pvt Limited (2), D & H Sechereon (3), Ashok Leyland (3), Tata Hitachi (2), Lithium Power (2), MAAN Aluminium (2), Jayswal Neco (15) and other reputed organisation. The center has also planned to establish MoU with few of them to make the student's industry ready and to carry out other related activities. 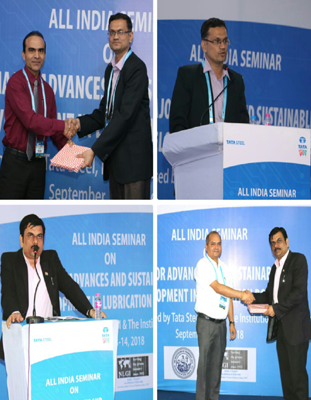 Tata Steel, Jamshedpur and National Lubricating Grease Institute (NLGI) along with The Institution of Engineers (India) Jamshedpur Local Centre, has organized an “All India Seminar on Major Advances and Sustainable Developments in Lubrication Domain” during September 13-14, 2018 at the United Club, Jamshedpur. The seminar was attended by more than 300 delegates from diverse fields including Steel and Power industries, OEMs and academia. CIAC team members, Dr Ashok K Srivastava, Assistant Dean-CRE, and Head-Metallurgical and Materials Engineering and Dr Siddhartha S Chakrabarti, Assistant Dean-CIAC, and Head-Mechanical Engineering were invited to chair the sessions "Advances in Lubrication Program Management" and “Major Advances in Lubrication Management Program”, respectively. 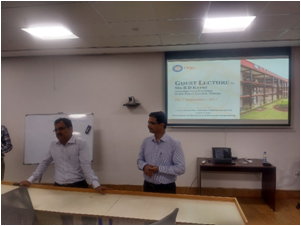 Dr Srivastava gave a presentation on paper “Wear study of Natural Ceramic-Reinforced Metal Matrix Composites” and also highlighted the verticals of established “Centre for Steel Technology and Product Development” at OPJU Campus. 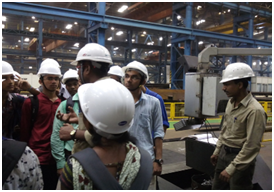 OPJU has collaborated with Jindal Stainless Ltd (JSL) to bridge the gap between the academic learning and industry needs. The programme was initiated under the leadership of Dr Siddharth Chakrabarty and Dr Ashok Shrivastava. 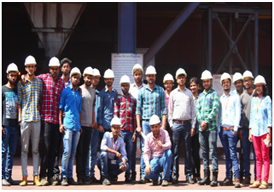 OP Jindal University, Raigarh is the only private University which caters to the needs of steel Industry is excited to announce its collaboration with Jindal stainless steel (JSL). 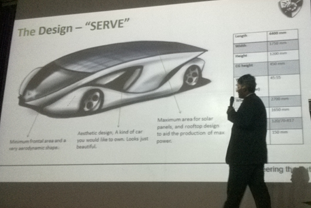 Department of Mechanical Engineering, SOE, OP Jindal University, Raigarh organised a One-Day Workshop on “Electric Vehicle Technologies” on 13th Aug 2018, with the support of Solar Energy Society of India (SESI) OPJU Chapter, and Centre for Industry-Academia Collaboration, OPJU. Mr Jeet Banerjee, Vikram Solar Power Plant, Kolkata and Mr Yuvraj Sharda, Sun Mobility Bangalore were the resource person for the event. Around 150 students attended the workshop within and outside OPJU. CIAC team members participated and interacted with the dignitaries of Confederation of Indian Industry (CII) conference on "Challenges for Indian EV manufacturers- The Welding Perspective" held in Mumbai, Maharashtra on 6th July 2018 at Vivanta by Taj President. 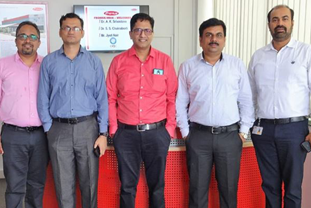 CIAC team visited the world-class facility of Fronius India Private Ltd, Pune - the partner for upcoming Center for Excellence in Welding at OP Jindal University, Raigarh. 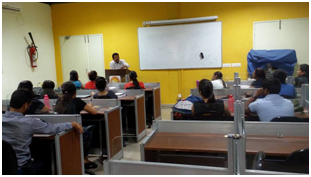 School of Management, OPJU has conducted two sessions on 13th September 2017 which were quite interactive and students got a wonderful learning environment. 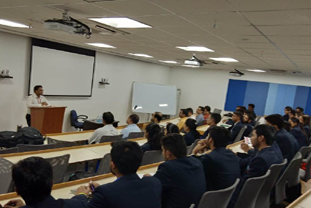 Mr Sandeep Grover, Consultant of Neco Jayaswal, discussed on topic "Campus to Corporate", in which he talked about the expectations of the industry from freshers. 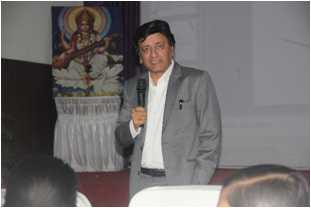 Mr Mohanty, HR Head of Neco Jayaswal, discussed on topic "Success" and he talked about how an individual can succeed in life. Mr R D Katre, Associate Vice President, Jindal Power Limited, Tamnar, delivered a talk on ‘Energy and its societal impact’ for EEE Students on 7th Sep 2017 at OPJU Campus. 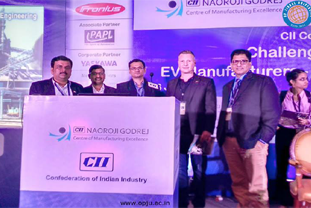 Industry Academia meet has evolved into a forum where experts from both industry and Academia discuss and address important concerns, and galvanise their efforts towards forging successful partnerships that would prove mutual beneficial. 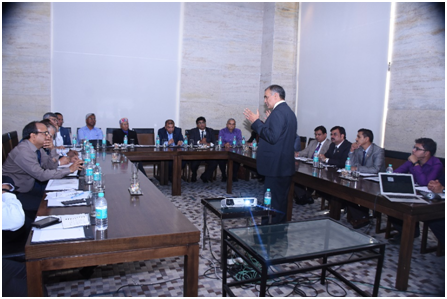 The meet was held on March 22, 2017 at Hotel Hyatt International, Raipur and companies attending the meet included JSPL (Angul and Raigarh plant), Godavari Power, Jindal Stainless steel, Jindal Steel Works, Tuls corps, ABB , Sweden, Prakash industries, SKS Ispat, Bhusan Steel and Power, SAIL , Bhilai, Mayura Steel Pvt Limited and few others. The session aimed at bringing together Top management professionals from industries, Academicians & Researchers of diverse fields together to discuss the dimensions of academia-industry partnership today and exchange ideas, practice and experiences on different aspects of Industry-Academia integration. 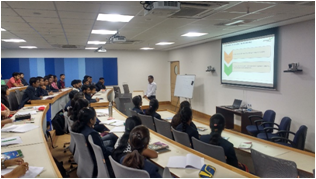 School of Management, OPJU conducted two Session on “Stress Management” for the employees of L&T Power and Fortis O P Jindal Hospital on 7th March 2017. 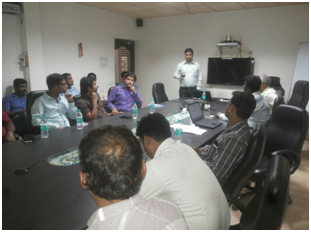 Another session on “Stress management” was conducted by OPJU for Tata Power employees at SKS Power Plant on 29th March 2017. 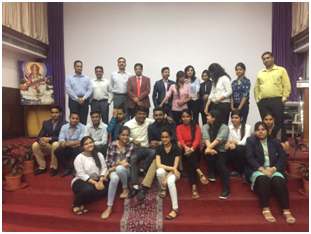 Mr Subrat Biswal, DGM-HR & Admin, Bhushan Steel, interacted with MBA students on 11 March 2017 at OPJU Campus. Interaction of HR Team of Jindal Power Limited, Tamnar with MBA students of OPJU on 6 February 2017 at University Campus. National level workshop on “Recent Developments in Renewable Energy Technology” from 30th Nov to 5th Dec 2015 in collaboration with CREDA, Raipur, ISTE (New Delhi) and CGCOST, Raipur. 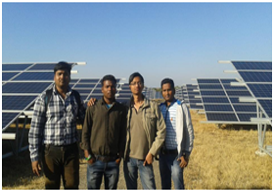 The workshop has witnessed 55 participants from JSPL(Raigarh), JPL (Tamnar) and Monnet Power Limited. Over and above a rigorous academic schedule, we place a great emphasis on all-round development of our students. The beautiful campus, far away from the city, provides an excellent environment for learning. Each and every student is provided with an Internet connection in his / her hostel room. Quick on the up-take, with good communication and human relations skills and aware of modern developments, the typical OPJUian is expected to play a pivotal role in different organizations to be internationally competitive in terms of products, services and technology. To fulfil the above requirements, Industrial training has been made mandatory for all Under-Graduate Branches of Engineering as per the curriculum. This gives wide exposure about the various functions of the Industries prior to the completion of their studies. 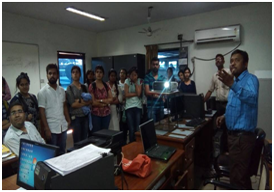 CIAC with assistance from various industries and departments is arranging Industrial Visits, Inplant Training and Internship to students of the University. Industrial Training is an essential component in the development of the practical and professional skills required for an Engineer/Professional and an aid to prospective employment. It should also be noted that developing an awareness of general workplace behavior and interpersonal skills are important objectives of the Industrial Training experience. At the end of the Industrial Training, students should be able to improve their knowledge and skills relevant to their areas of specialization and at the same time able to relate, apply and adapt relevant knowledge, concepts and theories within an industrial organization, practice and ethics. With this experience and exposure the students should be able to acquire knowledge and skills to compete in the job market. In an internships the student can apply academic knowledge, develop competencies for careers and community service, explore career options and gain field experience, and earn credit towards graduation. As per the regulations of O.P. Jindal Univesity, Raigarh, the student should undergo industrial training for a minimum period of seven weeks during the summer vacation of 2rd year. . The PG courses is also having 10 months of internship in any industry of their choice or provided by the department on the basis of their merit. 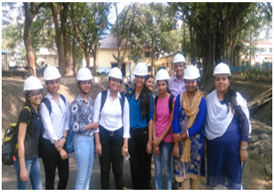 Industrial visit is a part of the professional courses of the University, during which students visit companies and get insight of on the internal working environment of the company. 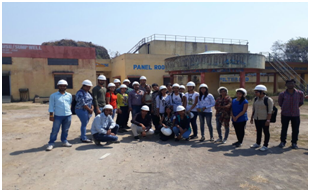 The industrial visit also provides an insight on how companies work and also useful information related to the practical aspects of the course which cannot be visualized in lectures. With an aim to go beyond academics, these visits are arranged to develop the insights of the students – attaining practical knowledge and their theoretical applications thereof. Globalization of education and economy resulted to make the current Indian higher education system more relevant and Industry-oriented with focus on quality& skill imparting. It is envisaged that professionally qualified graduates with a sound knowledge of their core disciplines and expertise in a concerned skill will have more openings in service, industry and self-employment sectors. Demand and scope for such professionally trained graduates with certificates & degrees on suchcourses are visible in the applied fields of almost all basic/core disciplines. To meet this challenge, OPJU would like to encourage incorporation of skill oriented and value added, add-on refresher courses & training programs in its umbrella, to be opted by industry persons. Certificate Course in vibration, noise measurement and analysis. 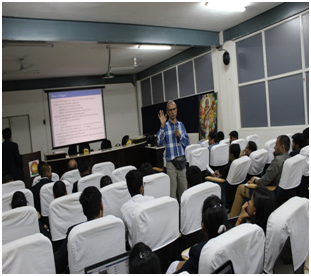 The Civil Engineering Department has organized two daysrefresher course for sixteen representatives of J.S.P.L. on 12-13th Jan 2017. The testing activities comprises of different tests on materials such as Cement, Aggregate, TMT ,Bricks ,Ready Mix Concrete (RMC),CBR test. A one week Refresher course for JSPL Employees was conducted by Department of Mechanical, School of Engineering, OPJU during 24 -29 May 2017 in JSPL Campus. 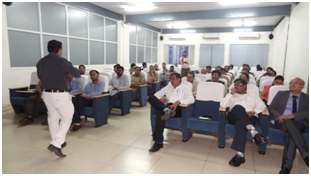 Department of Civil Engg of OPJU Raigarh conducted a three days refresher Course in ‘RCC Design’ for the Civil Engineers of JSPL, Raigarh during January 21-25, 2016.